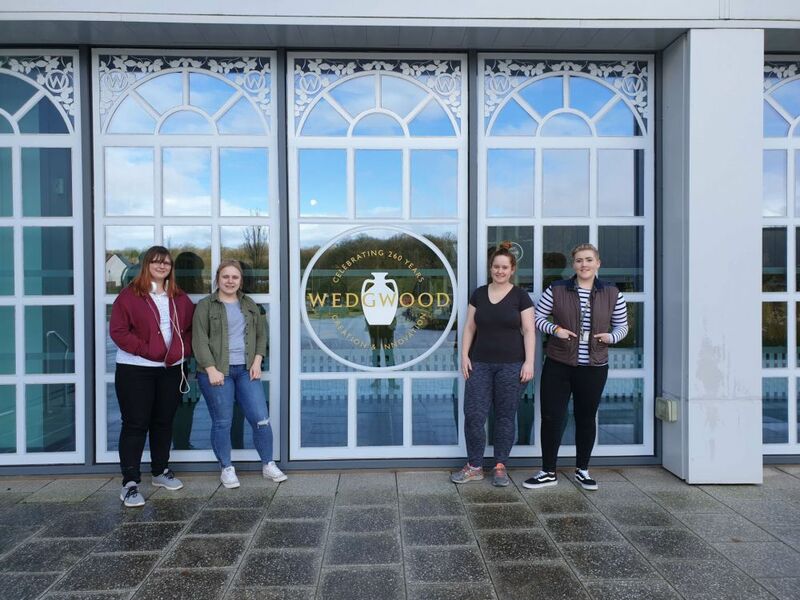 Wedgwood Waterford Royal Doulton have a fantastic history of passing on much needed artisan skills since the man himself Josiah Wedgwood once started on his own apprenticeship journey back in the 1700s. These skills are now being showcased by our 5 wonderful apprentices whom I had the pleasure of chatting to about their apprenticeship journey as well as seeing them in action creating the iconic ware right here in our historic potteries. Our apprentices have nearly completed their courses and so we had a chat with them, alongside their assessor Gary Hughes. All 5 are completing their Level 2 Performing Manufacturing Operations apprenticeship with Axia and are happy to work for such a fantastic company such as Wedgwood. Paige Hodges said: "Wedgwood have been quite flexible with their hours to let me complete the apprenticeship, travelling from Shrewsbury to follow this career path, as I'm really passionate about ceramics, and can't wait to broaden my skill set to be able to throw pots as well as learn lots of other skills in the future. It has been a good learning experience and a good way into the ceramics industry." Laura Taylor said: "I've gained a good foundation with the apprenticeship and have been able to multi skill on other work stations during the course as well as work with different people to gain the skills necessary for me to potentially change roles in the future if I want to." Laura Gardiner spoke to me about her apprenticeship journey starting with the apprenticeship and was thrilled that she will be taking her in-company knowledge to university in design at Falmouth university. She would then like to combine her on-the-job knowledge from the apprenticeship and her theoretical and practical work at university to make a return to the ceramic industry with a higher capacity and understanding. Sophie Higginson said: "I've definitely gained confidence from the qualification, as well as on-the-job skills. Everyone is really friendly and it helps to have other people of similar ages doing the apprenticeship with me". Eloise Myatt told me that she had joined the company on the apprenticeship as many do, because her father works as a Kiln operator there, which gave her the company knowledge and insight that made her join. She said that it is not easy to balance learning for the qualification as well as having to produce ware at a high rate, but she is doing a fantastic job.